Dr. Dinusha Mendis, Co-Director of the Centre for Intellectual Property Policy and Management (CIPPM) was invited to deliver a talk on her research into Intellectual Property and Emerging Technologies, with a focus on 3D printing at an event organised by the UN Agency, World Intellectual Property Organisation (WIPO) and University of Turin, Law School, Italy. The talk was delivered on 24th October 2016. 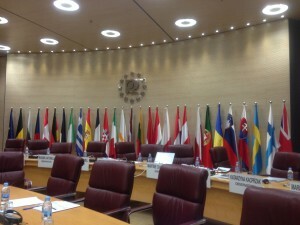 The event which formed part of the Master of Laws Programme, offered jointly with the World Intellectual Property Organisation (WIPO) Academy and University of Turin, was hosted in collaboration with the International Training Centre of the International Labour Organisation (ITCILO) with financial support from the Government of Italy and was attended by academics, practitioners and officials from WIPO and ITCILO. Dr. Mendis spoke about the legal status surrounding 3D printing, with a particular focus on the funded research carried out for the UK Intellectual Property Office ( completed 2015) and the current AHRC funded project titled ‘Going for Gold’ exploring the intellectual property implications surrounding 3D scanning, 3D printing and mass customisation from the point of view of cultural and business sectors. Other speakers at the event included, Ms. Martha Chikowore (WIPO Academy, Training Officer), Mr. Ralf Kruger (Manager, Turin School of Development), Professor Alessandro Cogo (University of Turin), Professor Marco Ricolfi (University of Turin), Mr. Paolo Marzano (LUISS, University, Rome) and Dr. Thomas Margoni (CREATe, University of Glasgow). 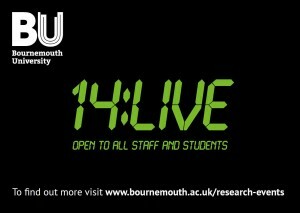 It’s just one day until 14:Live returns to BU! Join Dr Dinusha Mendis on the 5th Floor of the Student Centre, on Thursday 20 October at 14:00-15:00 for an exciting talk around her research. What’s it about you ask? Going for Gold! 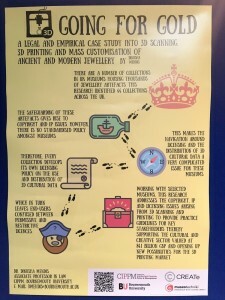 3D Scanning and 3D Printing of Jewellery and Implications for Intellectual Property Law. Have you ever seen 3D printing and 3D scanning happen in reality? By allowing physical objects to be replicated, 3D printing is increasing in popularity. However, this can raise questions about intellectual property (IP) laws. Unfortunately, there can be implications to modifying and replicating someone else’s existing design or Computer Aided Design (CAD) file. Does it infringe the IP rights of the creator? How much ‘modification’ is needed to create a new and non-infringing product? Are we about to see a new wave of file sharing in 3D designs? While the technology has significant potential to expand into various sectors, including jewellery, it raises many issues in relation to ownership and authorship. Can IP law deal with this growing technology or will we see a new wave of piracy and counterfeiting which will be hard to control? All staff and students are welcome to attend so come down and join us for what is going to be an exciting and engaging session, over lots of free snacks and drinks! So pop it in your calendars and we can’t wait to see you. If you have any questions about 14:Live or other student engagements events, then send over an email to Hannah Jones. It’s less than a week until 14:Live returns on Thursday 20 October, at 14:00-15:00! Join Dr Dinusha Mendis on the 5th Floor of the Student Centre, for an exciting talk around her research. 14:Live is back on Thursday 20 October, at 14:00-15:00! Join Dr Dinusha Mendis on the 5th Floor of the Student Centre, for an exciting talk around her research. 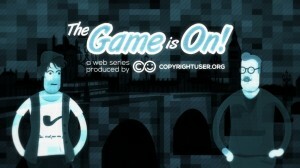 Copyrightuser.org – is a collaboration between the Law Department’s Centre for Intellectual Property Policy and Management (CIPPM) at Bournemouth University (BU) and CREATe, University of Glasgow, has produced Episode II of the ‘Game is On!’ Series. The project led by the Principal Investigator for Bournemouth University, Dr. Dinusha Mendis, Associate Professor in Law and Co-Director of CIPPM was initially funded by BU’s Fusion Investment Fund in 2012. Since 2013 the project has been successful in securing AHRC funding under the leadership of Dr. Mendis and in November 2015, won the AHRC Innovation in Film Award. Game is On! by Copyrightuser.org is a s a series of short animated films that puts copyright and creativity under the magnifying glass of Sherlock Holmes, providing a unique, research-led and open access resource for school-aged learners and other creative users of copyright. Drawing inspiration from well-known copyright and public domain work, as well as recent copyright litigation, these films provide a springboard for exploring key principles and ideas underpinning copyright law, creativity, and the limits of lawful appropriation and reuse. Episode I of the ‘Game is On!’ Series titled The Adventure of the Girl with the Light Blue Hair won the AHRC Innovation in Film Award in November 2015 and was shortlisted for a BUFVC Learning on Screen Award in April 2016 and has been recently used by Into Film to develop the educational resource ‘Exploring copyright for clubs’. The accompanying Case Files – an important feature of the ‘Game is On!’ series – for Episode I was authored by CIPPM’s Co-Director, Dr. Dinusha Mendis and CIPPM PhD Candidate, Ms. Hayleigh Bosher. The short films are written, directed and produced by Professor Ronan Deazley (Queen’s University Belfast) and CREATe producer Bartolomeo Meletti (currently seconded to the British Film Institute) with Art Direction / Design by Marco Bagni, illustrations by Davide Bonazzi and music by SFX:Sarco. Dr. Dinusha Mendis, Associate Professor in Law and Co-Director of the Centre for Intellectual Property Policy and Management (CIPPM) presented a poster at the 107th Society of Legal Scholars Conference 2016 capturing the research carried out for the Going for Gold Project. The AHRC-funded ‘Going for Gold’ project explores the intellectual property implications of 3D scanning, 3D printing and mass customisation of ancient and modern jewellery, with a particular focus on the cultural and business sectors. In so doing, the project considers the copyright, design, licensing and contractual issues faced by key stakeholders in these industries. The poster (illustration below) showcases the research carried out in the cultural sector (ancient jewellery), in collaboration with museums and points out the challenges faced by the museums as well as the opportunities which lie ahead in embracing this technology. The research is led by Dr. Mendis in collaboration with Museotechniki Ltd and Uformia Ltd and the research team will produce Practice Guidelines on the adoption of 3D scanning, 3D printing and mass customisation within the cultural and business sectors. This project builds on the research carried out for the UK Intellectual Property Office Commissioned Project on the IP implications of 3D Printing which was completed in 2015, leading to the publication of three reports. In July 2016, Dr. Dinusha Mendis Associate Professor in Law and Co-Director of the Centre for Intellectual Property Policy and Management (CIPPM) disseminated her research on the Intellectual Property (IP) implications of 3D scanning, 3D printing and mass customisation in Southampton, Newcastle and London. Questioning what the future holds for IP law as a result of technologies such as 3D printing, Dr. Mendis spoke about the research she has conducted for the UK Government (UK Intellectual Property Office) as well as the research she is conducting for her RCUK/AHRC-funded project ‘Going for Gold’ considering the IP implications of 3D scanning, 3D printing and mass customisation of ancient and modern jewellery. The event titled ‘Cross-Hub Workshop: 3D Printing: Development, Application and its Contribution to Local Economy’ hosted speakers from industry, academia and professional practice thereby presenting the opportunity to explore and discuss the digital opportunities and its potential contribution to local/national economy in the development and application of 3D printing technology. Dr. Mendis was invited to speak about her research into the intellectual property implications of 3D printing and presented the results from the commissioned research carried out for the UK Intellectual Property Office, which led to the publication of 2 Reports and an Executive Summary in 2015, whilst outlining the copyright, design and licensing implications relating to cultural institutions and SMEs in 3D scanning and printing ancient and modern jewellery. At this 2-day event, Dr. Mendis was invited to speak about law’s response to innovation and emerging technologies. Dr. Mendis’ presentation explored law’s resilience to dynamic change, in particular, and questioned whether legislators should adapt to innovation whilst adopting innovative regulation. The 2 day event began with a keynote speech by Professor Dan Faber of UC Berkeley and concluded with a keynote speech by Professor Karen Yeung of Kings College London. The event marked the launch of Dr. Angela Daly’s new book on 3D Printing and commenced with a presentation from Dr. Daly, a research fellow at Queensland University of Technology Faculty of Law, Australia. Dr. Daly’s presentation was followed by an invited guest lecture from Dr. Mendis who spoke about the IP implications of 3D printing, highlighting the challenges and opportunities which this technology has brought about, whilst outlining the next steps for 3D printing, from a legal perspective. More information about the event as well a write up about it, can be found here. 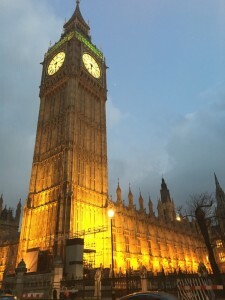 In the last few months, Dr. Dinusha Mendis, Associate Professor in Law and Co-Director of the Centre for Intellectual Property Policy and Management (CIPPM) was invited to speak at the House of Lords and deliver a keynote speech at a leading London Law Firm, Herbert Smith Freehills. The invited talks involved disseminating her recent research into the intellectual property (IP) implications of 3D printing. 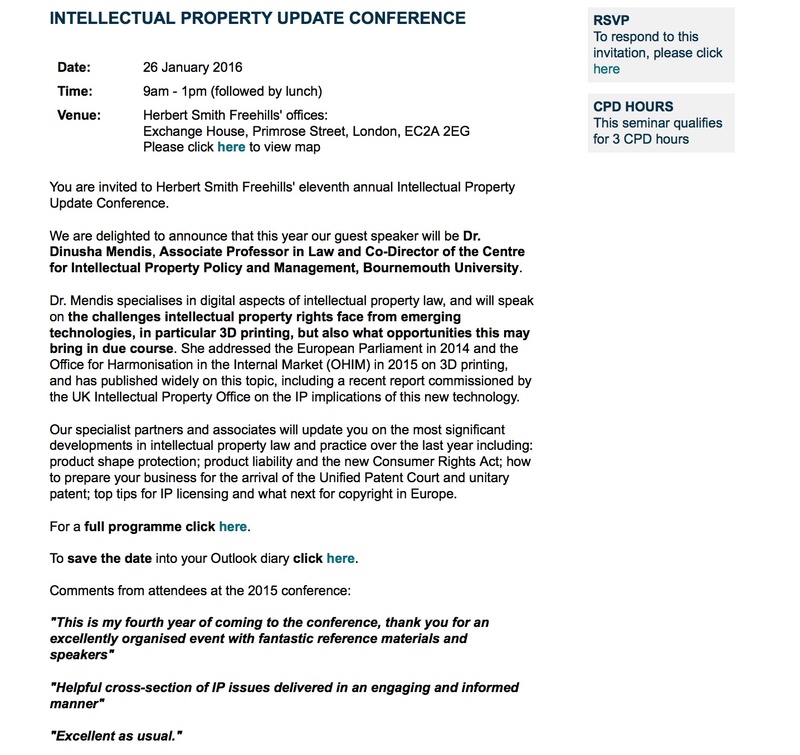 Earlier this year, Dr. Mendis was invited by Herbert Smith Freehills LLP, to deliver a keynote speech at their annual Intellectual Property Update Conference . The event attended by over a 100 delegates, included companies such as BBC, BT, Lloyds Banking Group, Barclays, Jaguar Land Rover, Sky Plc, Sony, PLC Thomson Reuters, Oxford University Press, Walt Disney, Warner Bros Entertainment, Wellcome Trust and Unilever to name a few. Dr. Mendis delivered the keynote speech on ‘The Challenges and Opportunities Presented by 3D Printing’. In delivering the keynote, Dr. Mendis spoke about the research carried out for the UK Intellectual Property Office Commissioned project, which was completed in 2015, whilst also giving an insight into the research being carried out at present. The IP Update Conference was chaired by Mark Shillito (Partner, Head of Disputes, UK and US; and Global Head of Intellectual Property). Further information on the presentations and the speakers can be found on the Conference programme. Herbert Smith Freehills LLP is an award-winning leading London law firm which has 24 offices spanning Europe, US, Asia, Australasia and the Middle East. During Spring 2016, Dr. Mendis was invited to present her research on 3D printing in the context of its impact of emerging technologies copyright and software at the House of Lords, Palace of Westminster. 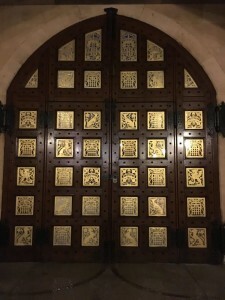 The event was organised by Mr. Julian Hobbins, Deputy Chairman of the Federation Against Software Theft (FAST) and hosted by Lord Tim Clement-Jones (Spokesperson for Creative Industries) of the House of Lords. Dr. Mendis’s presentation titled ‘3D Printing, Copyright and Software: What is the Mischief’? explored the intellectual property implications surrounding Computer-Aided Design (CAD) files needed for 3D printing and the legal position from a UK and European perspective. Other speakers on the day included Mr. Richard Bach, Assistant Director of the Cyber Security Digital Economy Unit DCMS and Mr. Richard Pharro, CEO at APMG – Cyber Essentials. In April 2015, the UK Intellectual Property Office (UKIPO) published three reports reflecting a legal and empirical study into the intellectual property (IP) implications of 3D printing. The project – commissioned by the UKIPO – was awarded to Bournemouth University and was led by Dr. Dinusha Mendis. Together with Dr. Mendis, the research team consisted of Dr. Davide Secchi (Southern University, Denmark; previously Bournemouth University at the time of conducting the research) and Dr. Phil Reeves (Econolyst Ltd – now Stratasys Strategic Consulting Ltd). All three reports can be found here and further information about the project, including research findings and recommendations for the UK Government, Industry and Intermediaries can be found here. Since the publication of the reports, Dr. Dinusha Mendis, Co-Director of the Centre for Intellectual Property Policy and Management (CIPPM) has been invited to deliver a number of talks in UK and Abroad, thereby reflecting the impact of the research. This blog-post, highlights the invited talks in EU. For the dissemination of research in UK, please see here. On 12 June 2015, Dr. Mendis was invited to present the research at the European Communities Trade Mark Association 34th Annual Conference in Hamburg. The Conference took place from 10-13 June 2015 and Dr. Mendis spoke on the copyright implications of 3D printing based on the findings from the UKIPO project. Dr. Mendis spoke on the topic as part of a Panel exploring the challenges to copyright law, which also included Professor Ian Hargreaves, Professor of Digital Economy, Cardiff University UK and author of the Hargreaves Review 2011. For further information, please see here. From 22-23 September 2015, the First General Assembly of the FP7-funded MAPPING Project was held in Hannover, Germany at the Hannover Congress Centrum. MAPPING – Managing Alternatives for Privacy, Property and Internet Governance brought together stakeholders from three key areas including Internet Governance, Privacy and Intellectual Property. Dr. Mendis was invited to speak in the Intellectual Property Panel titled ‘The EU IP Reform: Unlocking Culture, Stimulating Progress’. As part of the talk, Dr. Mendis was invited to speak on the UKIPO 3D Printing project. In November (18-20 November 2015) Dr. Mendis was invited by the Office for Harmonisation in the Internal Market (OHIM) in Alicante Spain. The 3-day event organised by OHIM, Europol and Eurojust explored issues on tackling enforcement in relation to the infringement of copyright and design law. The event was attended by policy makers, law makers, customs and border protection officials, investigators, criminal analysts and industry experts amongst others. Dr. Mendis presented at this conference together with with Dr. Davide Secchi (co-author of Study 1 of the UKIPO Project) and member of the research team which carried out the Commissioned work for the UKIPO. Dr. Mendis and Dr. Secchi presented the research carried out particularly for Study 1 of the UKIPO project, but also took the opportunity to speak on next steps and future projects – in taking forward the UKIPO Project. In this regard, Dr. Mendis spoke briefly about the work being carried out for the newly funded project considering a legal and empirical case study on 3D printing, 3D scanning and mass customisation of ancient and modern jewellery. For more information about the new project, please see here. For further information about OHIM’s event, please see here. On 1 December 2015, FORUM Institüt fur Management GmbH hosted an international conference exploring 3D Printing and IP Rights. The conference brochure including further details and speakers can be found here. Dr. Mendis was invited to speak on the UKIPO Project with a particular focus on the implications for IP as a result of 3D online platforms as well as its impact on the industrial sector. The presenters were drawn from industry, professional practice and academia thereby providing for a vibrant discussion. Since the publication of the reports, Dr. Dinusha Mendis, Co-Director of the Centre for Intellectual Property Policy and Management (CIPPM) has been invited to deliver a number of invited talks in UK and Abroad, thereby reflecting the impact of the research. This blog-post highlights the invited talks in UK. For dissemination of research in the EU, please see here. On 28 August 2015, Plymouth Law School held a one-day workshop, titled, ‘Valuing Knowledge, Creativity and Innovation: Relating Corporate Social Responsibility to Copyright Law’. The workshop considered the prospect of practising Corporate Social Responsibility (CSR) in relation to copyright, where similar ideas of corporate social awareness have already applied to other areas of intellectual property protection. Dr. Mendis explored the issue from the angle of emerging technologies and gave a presentation titled ‘Printing the Future: Is there a Need for Regulation? 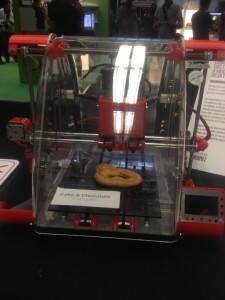 The Copyright Implications of 3D Printing’. Other invited speakers on the day included, amongst others, Professor Charlotte Waelde, Professor of Intellectual Property, Exeter University and Dr. Abbe Brown, Reader and Deputy Head of the Law School, University of Aberdeen. 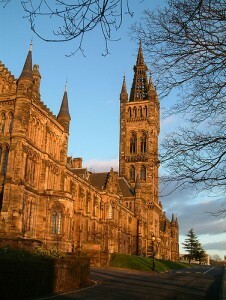 From 2-3rd September 2015, CREATe, the RCUK Centre for Copyright and New Business Models in the Creative Economy at the University of Glasgow hosted the 10th Annual Conference of European Policy for Intellectual Property (EPIP). The event explored intellectual property from an economic, legal and political perspective considering its impact in the creative economy with a focus on copyright, data and the changing economics of the digital world. Dr. Mendis presented and led a panel titled ‘A Legal and Empirical Study into the Intellectual Property Implications of 3D Printing – Findings, Conclusions and Recommendations’. The panel consisted of the research team, which carried out the research for the UKIPO Project, with a Panel member from the UKIPO outlining the next steps in relation to policy in the area of 3D printing and IP Law. Together with Dr. Mendis, other Panel members included Dr. Davide Secchi (University of Southern Denmark), Ms. Sophie Jones (for Dr. Phil Reeves) (Stratasys Strategic Consulting) and Ms. Pippa Hall of the UK Intellectual Property Office. Further information this event can be found here and further information about the conference including presentations from both days can be found here. On 11 November 2015, the Intellectual Property Awareness Network (IPAN) hosted an evening event, which explored 3D printing from an industry perspective as well as from a legal (IP) perspective. IPAN is a non-profit organisation working to improve understanding of patents, trademarks, designs, copyright and other IP rights and their value to society. IPAN is chaired by CIPPM Associate Director, Professor Ruth Soetendorp. Dr. Mendis was invited to deliver a talk highlighting the research findings, conclusions and recommendations of the UKIPO Project and its implications for IPAN’s membership. Dr. Mendis spoke alongside Mr. Paul Gately, EMEA Manager of 3D Systems. On 11 December 2015, Dr. Mendis will form part of a panel exploring the topic of 3D printing and its implications for IP law, from a broader perspective at the University of Liverpool. An animated film on Copyrightuser.org titled The Adventure of the Girl with the Light Blue Hair won an AHRC Research in Film Award on 12 November 2015 at an Awards Ceremony hosted at the British Film Institute, Southbank London. Copyrightuser.org is an online resource, which makes copyright law accessible to creators, teachers, students and members of the public. The project began with Bournemouth University’s Fusion Investment Fund in 2012 after which, the project has been successfully funded by RCUK/AHRC since 2013. It is a collaborative project carried out by the Centre for Intellectual Property Policy and Management (CIPPM) Bournemouth University and CREATe, University of Glasgow. The animated film was short-listed for the AHRC 10th Anniversary Research in Film Award within the category Award for Innovation in Film – Best Film in the Year and beat another four contenders to win the award. The Adventure of the Girl with the Light Blue Hair is the first episode of The Game is On!, web series and is produced by Mr. Bartolomeo Meletti (CREATe, University of Glasgow) and Professor Ronan Deazley (Queens University Belfast). The film draws inspiration from Sherlock Holmes and other well-known copyright and public domain works and provides a springboard for exploring various copyright concepts. It forms part of a suite of online learning materials for students and teachers in the UK while educating the wider public about what can and cannot be done with copyright works. To achieve this aim, researchers working on Copyrightuser.org produced both video and textual material. The animated film is enhanced by 12 ‘Case Files’ authored by Ms. Hayleigh Bosher and Dr. Dinusha Mendis (CIPPM, Bournemouth University), which draws on the various elements of the film to explore key principles and ideas underpinning copyright law, creativity, and the limits of lawful appropriation and reuse. The educational materials also include Copyright for A Level Media Studies authored by Ms. Hayleigh Bosher and Dr. Dinusha Mendis (CIPPM, Bournemouth University) – an educational web resource which addresses the AS/A Level Unit Critical Perspectives in Media, Section B: Contemporary Media Issues. The AHRC Research in Film Awards is designed to recognise the creative and innovative work being undertaken at the interface between research and film. All the winners and full versions of the films can be seen here.